Giasco have been producing stylish and highly comfortable safety shoes for Men and Women since 1971. With over 40 years of experience Giasco is one of the finest and best manufacturers of safety footwear in Italy. All of the styles are designed, produced in a state of the art modern footwear facility in Chiampo, Northern Italy. Giasco is a fully accredited manufacturer so you can be assured you will receive the finest and most comfortable footwear from Giasco who are the premium Italian producer of safety footwear. Why Giasco Work Shoes and Boots? We have already established that Giasco have been manufacturing Work Shoes and Boots for over four decades, this dedication to delivering stylish, comfortable and functional safety styles is unsurpassed. What sets Giasco aside from other Italian producers is that all the styles have been subjected to a rigorous number of quality checks throughout the production process and all of the safety footwear styles are produced in the Giasco factory in Italy. This dedication to Italian made styles has meant that the quality and comfort of the shoes and boots produced in the modern production facility in Chiampo are some of best styles you will find from a true Italian manufacturer of safety footwear. To produce styles which are comfortable, stylish and functional requires a collection of different skills and expertise, Giasco bring these skill sets together to create the perfect fusion of design features, modern materials and styling, functional safety features which give you footwear that you will want to wear all day long. Innovation combined with creative thinking has delivered a number of collections which have unique features that you will simply not find on any other brand of safety footwear. The styles from the Giasco Ergo Safe Collection have a number of unique features. All the styles in this range have metal free safety toe caps and midsoles making them extra light and easy to wear. All of the styles in this range have been manufactured with the unique Ergo Safe sole unit, this sole is a modern technological advancement in sole design. Its design delivers two main benefits to the wearer. Firstly its unique design helps increase blood circulation to the feet, this increase helps reduce fatigue and promotes good foot health and well-being. The second benefit is that the sole helps you have the right posture when standing or walking, correct posture is extremely important as it helps reduce back stress. Back stress or pain is a common problem for both individuals and companies as it is painful for the individual and costly for companies as they lose productivity due to sick days which are associated with back stress. Ergo Safe footwear can help the individual as well as reducing the costs companies incur due to this type of ongoing injury. Correct fitting footwear is extremely important for a wide number of reasons and comfort is a key reason for making sure that you choose a style that fits correctly. The Bloom collection for Women at Work is a range of shoes and boots which have been designed for a Ladies foot. A Women’s foot is naturally narrower than a Man’s foot, therefore it is always advised where possible that Ladies should choose a style that is not a unisex fit but a Ladies True Fit. Giasco have a range of Ladies work boots and shoes which have a been styled just for Women using a unique sole, metal free safety toe cap and fit, this combination delivers the wearer great levels of comfort which allows you to get on with your working day in style. Other styles in the Giasco collection include a number of high quality metal free safety riggers which are ideal for a number of occupations. The range includes a number of traditional styles and safety trainers which are sporty, safe and extremely lightweight. The quality and comfort of this type of footwear is not only something you can see but you can also feel the quality when you put on a pair of Giasco safety boots or shoes for the first time. 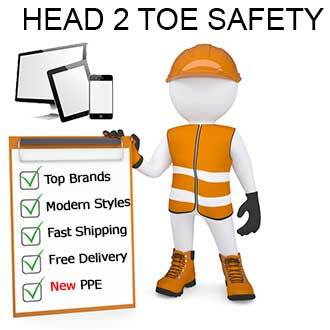 How many Italian safety footwear manufacturers say you can feel the quality when you wear our footwear. Well Giasco can because all of their styles are manufactured with pride in Italy, so if you are looking for work boots and shoes which are of the highest quality and are proud to manufactured in Italy, choose comfort, choose Giasco.